Non-asbestos fibre (NAF) materials are based around the production techniques originally used for compressed asbestos fibre (CAF), which is no longer available. With more than 15 years experience in gasket and sealing industry, Masterpac offers a comprehensive range of non-asbestos soft gaskets covering a wide spectrum of applications in every industry. Our MP 4430 is manufactured by the hot calendering process using high quality non-asbestos fibers and oil resistant synthetic rubber. Specially, this sheet has superior sealing ability with excellent oil resistance. MP 4430 is a general purpose material suitable for use in wide range of application including air, water, hot water, steam, oil, gases and general chemical. Premium quality carbon fibre reinforced material, with a high quality nitrile rubber binder. A universal grade especially suitable for use under alkaline conditions, with good steam resistance. Novus 10 also possesses excellent creep resistance and is suitable for use with oils, fuels and refrigerants. Novus 20 is a good quality compressed sheet material based on aramid fibre with a nitrile rubber binder system. Suitable for hot and cold water, steam, oils, fuels, gases and wide chemical. 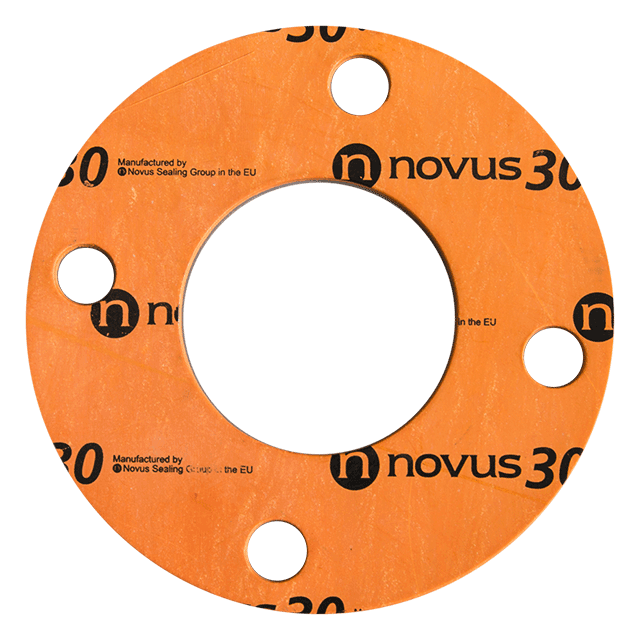 Novus 30 is a good quality material based on a blend of aramid and inorganic fibres bonded with nitrile rubber. General purpose material suitable for use in a wide range of applications, including hot and cold water, steam, oils, fuels, gases and a wide range of general chemicals. Novus 34 is a superior universal compressed sheet material, based on a blend of aramid/inorganic fibres and special additives, with a high quality nitrile rubber binder system. Being a superior performance material with excellent mechanical properties, it is suitable for many applications including oils, solvents, high pressure steam and gases including oxygen.